Andrew Hsi, MD, has spent most of his medical career trying to help kids who grow up in challenging circumstances to survive – and even thrive. In the early 1990s, he founded the University of New Mexico’s FOCUS program, which supports young children who are at risk due to prematurity, low birth weight and prenatal exposure to drugs and alcohol. Some also face environmental factors like family substance abuse, mental illness, family violence or unsupported teen parenting. A professor in the UNM Department of Pediatrics, Hsi recently launched the Institute for Resilience, Health and Justice to explore what combination of traits will lead to the best outcome for a child. Hsi will join a panel of experts at a symposium on child well-being on Saturday, Oct. 1, hosted by Archbishop John C. Wester of the Diocese of Santa Fe. The event at St. Pius X High School, 5301 St. Joseph’s Dr. NW, will feature keynote speaker M. Rebecca Kilburn, a RAND Corporation economist and nationally known expert on child and family interventions. Hsi’s new institute studies the impact of adverse childhood experiences (ACES). These include domestic violence, divorce and poverty. Research has shown that ACES have a cumulative impact – the more adverse circumstances a child experiences, the greater the likelihood that he or she will become involved with the criminal justice system, for example. Hsi is also collaborating the UNM School of Law faculty members to address unmet legal needs that affect the health and well-being of families living in poverty. Family and child law experts are working alongside medical staff to provide family interventions. In the early 1990s he won a grant for a program called Los Pasos to provide intensive services to children born with prenatal drug exposure. It included home-based intervention, case management services and primary care provided through UNM clinics. “We took care of a lot of kids who had cocaine exposure,” Hsi says. Over time the program expanded its efforts to include children with a range of developmental disabilities, including ADHD and dyslexia, and Los Pasos was rechristened FOCUS (for Family Options Caring Understanding Solutions). In 2004 FOCUS started providing primary care to the parents of the kids it was serving. It turned out helping a parent to stop using drugs or navigate their legal or financial difficulties improved the child’s chances of staying healthy, Hsi says. The parents of children in the FOCUS program “want to see their kids graduate from high school and have good jobs – what we all want,” Hsi says. 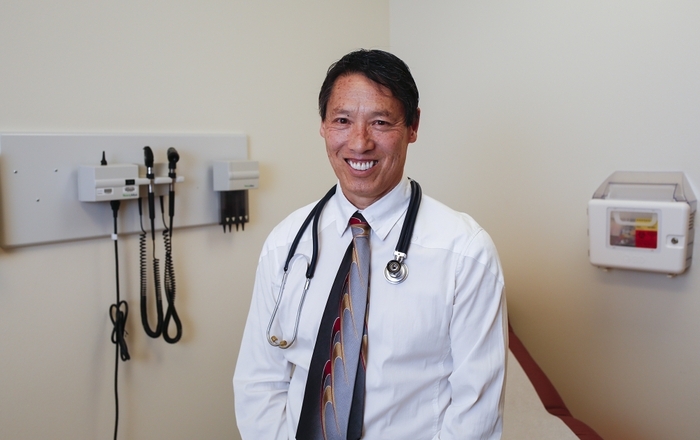 Another study author, Dr. Andrew Hsi, is medical director of the University of New Mexico’s FOCUS early intervention program, which provides support and services for families of children at risk from birth through 3 years. He says he is working with his colleagues at UNM’s Health Sciences Center to expand the program to cover families and children until they are 18 years old, because he knows this kind of support can help families change. Just as a child’s health can be impacted by living with no heat or water, trauma and toxic stress can damage health and curtail productive lives, says Andrew Hsi, MD, director of the newly created UNM Health Sciences Center Institute for Resilience, Health and Justice.